Riding the bi-annual Paris Roubaix Sportive organised by VC Roubaix is a must do event and we cyclists are blessed that we can ride the very routes made famous by the top stars of our sport. The ‘Hell of the North’ Paris Roubaix Sportive follows the same iconic route, the same theatre of dreams as the infamous ‘Queen of the Classics’. Held every two years (the off-year is for MTB’s and instead of roads you get farm tracks! ), the VC Roubaix host their sportive, not be confused with the ASO version, with the support of local clubs and organisations. For many it is the true sportive with little hype and the one which sticks to the simple premise of local people inviting all to pay homage to ‘their’ great race- you even get a cobble of your own if you complete the ride. 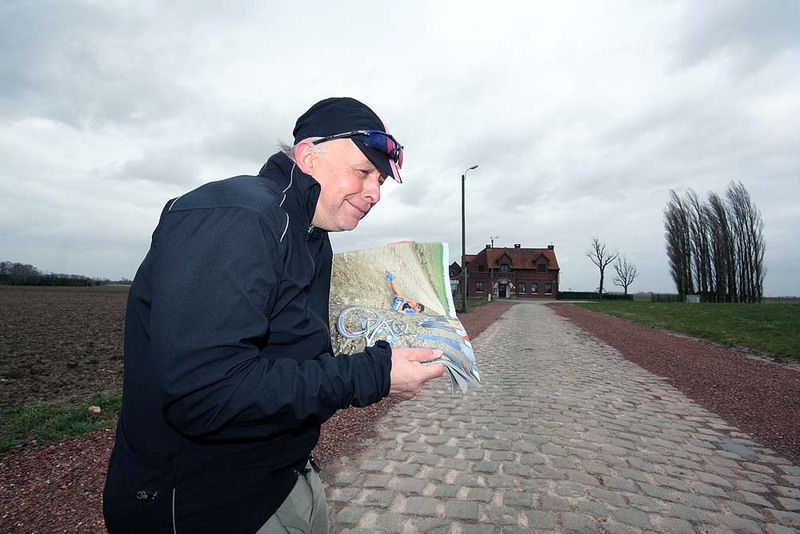 For us the Paris Roubaix Sportive is an opportunity to experience the drama offered up by an event with true history. Held in June, the first time we rode the sportive it was so hot that we were barbecued on the pave as the stones became solar reflectors in a major heat wave. The next time it was mild and dry, but with rain having fallen the day before, leaving parts of the pave slick and muddy. Then in 2010, torrential rain fell 15km’s before the Arenberg Forest making that year’s event a brutal edition, whilst in 2012 conditions were very much more benign. The Paris Roubaix pro race, the ‘Hell of the North’, was first run prior to World War One in 1896, but was to find its reputation post-war when the race re-started after the carnage and visited the area made into ‘hell’ by the war. 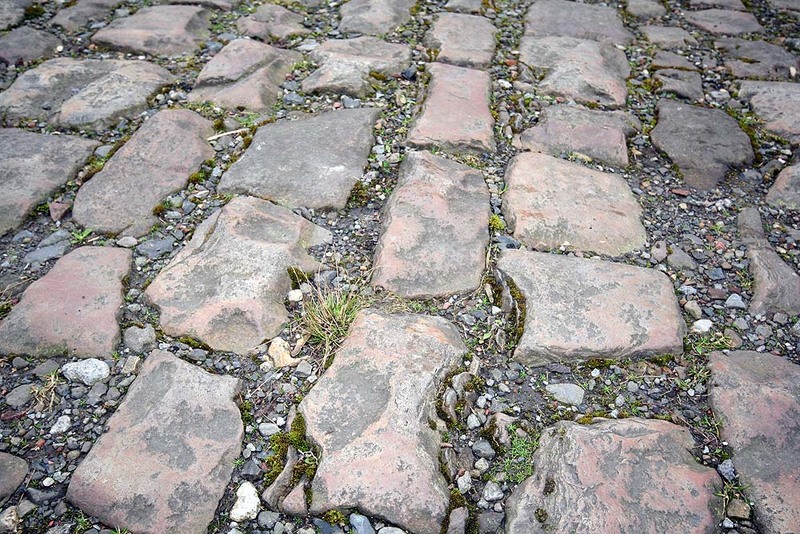 Since then the race has evolved and after a major review many of the pave sections were declared to be of historical and cultural interest to the French nation, and thus saved from the march of tarmac and modernity. VC Roubaix offer: The Legend: 210 km long, closely related to the course of the professional race (54 km of paving stones) from BOHAIN-EN-VERMANDOIS (near Saint-Quentin). The Final: 120 km long, for the less well trained (32 km of paving stones) starts in WALLERS-ARENBERG (near Valenciennes). Arrival on the cycle-racing track in ROUBAIX. Looking back post ride I had wondered how I managed to complete the brutal 2010 edition; the 2012 event was tough but not supremely brutal. 2012 was almost ‘normal’ for this so visceral of rides; simply tough on the mind, body and soul. Like so many best laid plans, I caught a cold in the days prior to the sportive leading to the opting for the shorter 120km route. For me the special moment of a ride is when you take hold of the saddle and push the bike to your start, then its ‘game on’ and the moment when you let slip normal life and engage the hero in yourself. 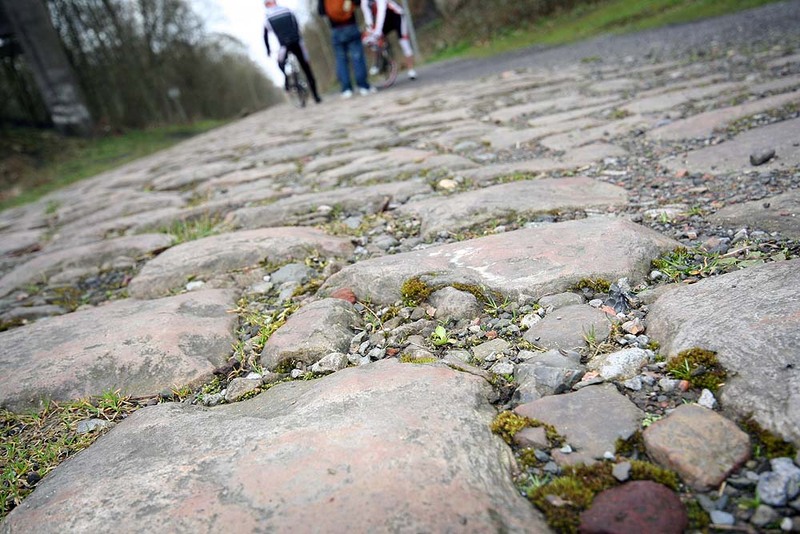 Ahead lay the most iconic sections of the Hell of the North pave; The Arenberg Tranchee, Pave Marc Madiot, Pave Duclos Lassalle and du’Carrefour l’Arbre. Each a blood diamond in a necklace of Northern French stone. Riding the pave is very much in the head, having good legs is great, but if your mind set is wrong the pave can overwhelm you leaving you bereft of hope. Having opted for the ‘short’ route my start was to be the Arenberg. 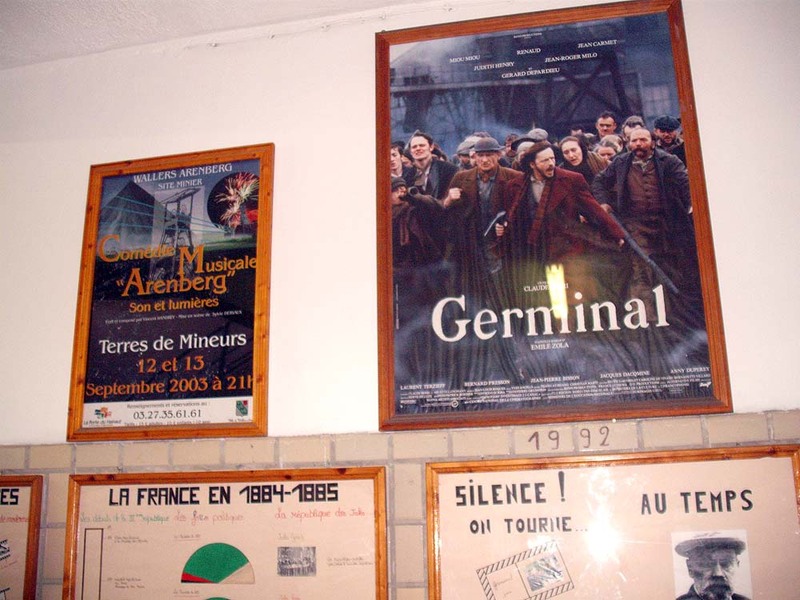 Now a World Heritage site the Arenberg mine stands testament to a lost way of life in the Nord de Calaise. In 2004 coal mining in France ended setting the area into a downward spiral; no wonder then that the Paris Roubaix race and the pave are important to the locals. The introduction of the Arenberg Tranchee to the race is relatively recent. It was coal miner and cycling World Champion (1962) Jean Stablinsky who promoted the use of the Forest and subsequently moved from private ownership to become a National Park. Stablinsky’s Polish parents had been drawn to the Northern French coalfields and his father died working inside a mine; it was hard graft, if well paid. It was a different social environment post World War Two, in stark contrast to the one described by Victor Hugo who wrote of the poverty in the novel ‘Germinal’, where employer’s controlled every aspect of the miners lives, and could held the miners and their families to ransom. It was also dangerous with many accidents including one at Courrivres, a sister mine to the Arenberg where over a thousand died in one incident in 1906. Now the Arenberg mine, like much of the pave, is protected as a National Monument. The pave here is the worst of the parcours, not so much cobbles but more like riding through a vandalised graveyard, where monuments lay cracked and snapped into hostile and aggressive shapes ‘organised’ into reverberating form. 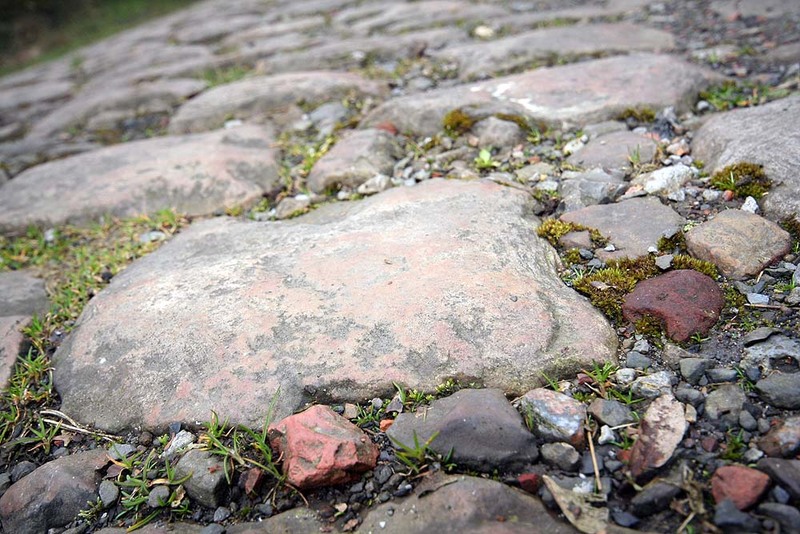 The violence offered by the pave at the Arenberg draws comparison to the damage done to the area during times of war; it takes little stretch of the imagination to view the pave as a place defiled by war. Historically, with the end of World War One and the resumption of the race in 1919, it became known as the ‘Hell of the North’, an observation of what had been the fault line between opposing forces locked in years of bloody struggle. In 2010 a huge storm hit the sportive in the kilometres leading to the Arenberg, flooding the ‘Tranche’ and the rest of the pave. Luckily this time no rain fell, allowing a feeling of greater confidence and certainty. You could feel the tension loosening in the tone of voice and body language of fellow riders; as we said, a good Paris Roubaix is very much a matter of a good mind set. I stood still for a moment, ready to start and pictured the sections I had skipped by opting for the shorter route, these included the 2.2km long Pave Stablinsky at Troisvilles, where your world is tuned upside when you hit the cobbles for the first time and is then followed by ten further sections prior to the Arenberg. I have ridden them a number of times and I felt sad to miss the sections where in the race the domestiques work their legs to the bone to make sure their star riders are in a good position. We rolled out in company and made our way past the now gentrified ex-miners houses that line the road to the forest. You cross a railway line that marks the boundary and next thing you are into the forest where the pave explodes like grenades in your hands. It’s so rough that I lost a camera, jettisoned from the bike. I had promised myself that I would ride the Arenberg and Carrefour de l’Arbre in their entirety, wanting to pay homage to these most iconic sections; thus once I had retrieved my camera I settled into a good rhythm and just kept plugging away until relief was found at pave end. Some four days after the sportive I could still feel those cobbles in my hands. 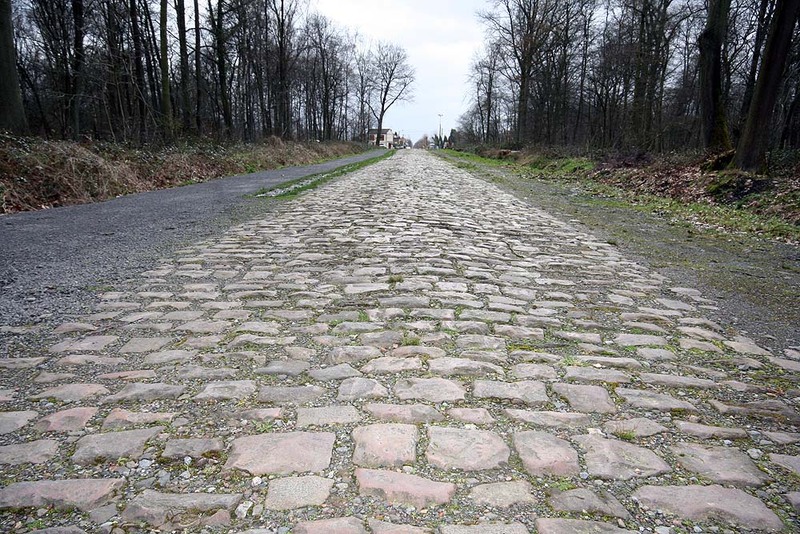 The Arenberg and Carrefour notwithstanding – and it’s a theme many riders talked about or battled within themselves – just how much of the cobbles would I avoid, opting instead to take the narrow bands of earth, sand or grass to be found at times on the verge (not an option when wet)? Though I argued that if Tom Boonen was racing the parcours he would take the route of least resistance wherever possible, if I avoided the cobbles why ride the Paris Roubaix Sportive at all? A copy of Velo News with a feature about George Hincapie’s infamous broken bike was not ideal reading on the reccy. There are times when you cannot avoid the cobbles; the Paris Roubaix parcours is so charged with history and atmosphere that you are drawn hypnotically in electing to ride the pave. You may not ride the whole 1000 metres or so as, with your mind focused, you find yourself skipping from the pave to the verge and sections where tarmac has been poured in as a hasty repair. It simply takes over your mind and body; that’s why riding the Roubaix pave is as much a mental challenge as a fitness one. Out of the Arenberg, the next sections of pave are rather benign in comparison and allow you the opportunity to sort yourself out, especially on the tarmac. The cold that I had picked up was now playing its part as I couldn’t regulate my temperature; one second I was cold, the next too warm. I decided to let go of the wheel in front and rode at my own pace. Having sorted myself out and now back to some semblance of normality I engaged fully in the task at hand – the run into Cysoing and then Carrefour – with renewed enthusiasm. With my Specialized Roubaix singing, I was able to hook together corners, entering and exiting the pave sections as if I were Tom Boonen (-ish!). It’s at times like this that riding your bike feels so pure and intimate. The crown of the pave is narrow and is most often the best place to be, but you need to keep your nerve and despite shouts from behind me, almost indiscernible in the clatter of bike on pave (it’s so quiet in comparison when on the tarmac), which I assumed to be “We’re coming through! Get out the way!” I never faltered and faster riders were forced off line and into the deeper ruts that I was keen to avoid. At one point I had to brush off a chain of Italian’s with my elbow, which was very exhilarating to do and once more I felt like a pro. Along the route are a number of check points staffed by VC Roubaix volunteers and at Cysoing a disco offered welcome non-cycling stimulus that spurred me onto my date with the Carrefour pave. This is where the race is normally settled over a network of the worst category of cobbles; on race day it is thronged with spectator’s three to four deep! I approached the Pave de la Justice, 1800 metres of pave, with a real sense of awe. Beyond there lay Carrefour de l’Arbe, a 2110 metre long section of pave, in a section rounded off with the 1000m Pave de Gruson. 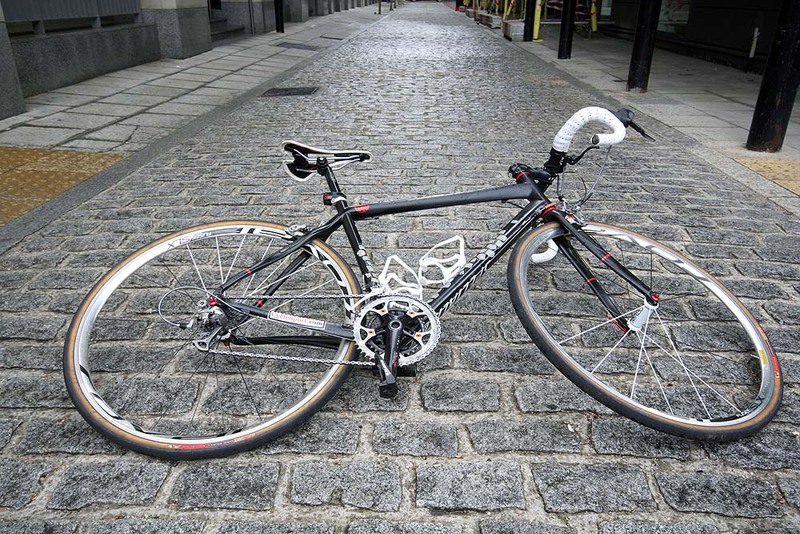 This triptych of pave is so tough that few ride it completely and I saw a number crash into the adjacent farmer’s crop. I had prepared my mind well, surprisingly well, and for the first time in five editions of the sportive, I was not fixated by the pain in my hands – not immune, but not fixated – and it was a great feeling as I turned left up toward the cafe atop the rise. Here people had assembled to cheer on friends, family members and anyone who stuck to the crown of the pave. I got many shouts of ‘courage’. It felt so cool! Many people think Paris Roubaix is done and dusted after this point, but beyond de Gruson lies the rough and tough Pave de Hern, a snake like section that, although allowing respite at times with its wide gravel verge, still had to be ridden with respect; I witnessed more crashes and scrapes here than anywhere else. With the pave over, the road to the iconic Roubaix Velodrome is simply a case of navigating through the suburbs on a route differing greatly from the pro-race; I had to face a series of traffic lights that really sapped morale and energy from your body. Cars parked on the celebration kilometre of pave (not really pave of note) made it a simple choice to avoid and I swung into the velodrome with the final lap bell ringing, whistles blowing and cheers from the infield as I hit the track. Sadly there was no one around me to race to the line, but I just sprinted anyway. How could I do otherwise? Sitting exhausted and battered in the infamous Roubaix Velodrome showers, I had the luck to choose the cubicle inscribed with the name of three time winner Francesco Moser. The stark, uncomfortable nature of the showers would be frowned upon by some who possess little sense of history or place, but for others it’s a place of pilgrimage. I contemplated that this sportive is ‘old school’. Lacking hype, it offers a relaxed organisational climate and because of it you feel more in touch with the VC Roubaix and their team of local support. I got a sense that they are proud of the race, their sportive, the velodrome (now complete with the addition of a very new indoor velodrome) and this area of the Nord de Calais, an area recovering from economic downturn. With beer and frites in hand I was told that Rouleur Editor, Ian Cleverly, had given a great impression of my video narrative style to the ‘long’ group as they pedalled and talked on the road sections. It made me laugh to hear this and it rounded off a great day in ‘Hell’.